Nakanishi: Since Tomo Kosuga has worked as a magazine editor and Yusuke Nakajima has read through incredible amounts of photobooks, I imagine you two understand very well the importance of editing. Now, KYOTOGRAPHIE mainly concerns itself with exhibitions, but ‘editing’ is necessary to create exhibitions, too. Thinking about the binding and the design of a photobook are rather similar, I think, to the structure, the setup, the scene design (scenography) involved in creating an exhibition. Nakajima: I have worked on photobooks before, and we have a small gallery next to our bookshop, where we hold photography exhibitions. In either case, editing is necessary in order to communicate to the audience the artistic merits of a work. I think it is important to understand the intentions and power of a work and its author objectively and present them from the viewpoint of the audience. Nakanishi: We have employed this style, combining the exhibition with the photobook, many times at KYOTOGRAPHIE, and it is something I would like to continue in the future. Kosuga: How do you select the artists that you invite to KYOTOGRAPHIE? Nakanishi: First, Lucille Reyboz, who is my co-director, and I decide on a concept. We select a theme based on which message we would like to send regarding events and situations in Japan and the world, and then we start looking for artists that would fit this theme.Running a festival of this size, year after year, is close to impossible, as we need to develop different programs, secure funding, find locations and work on the scenography, all at the same time. It seems a miracle to me that so far we have managed to do it each time. Nakajima: It really is a miracle. 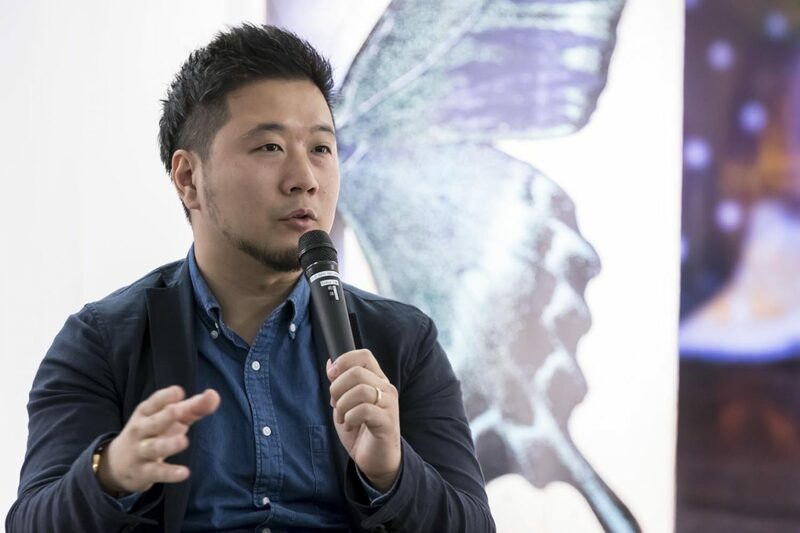 Nakanishi: We’re very occupied with the organization, but we should spend more time looking at young artists’ exhibitions in Japan and overseas, but we simply do not have the time for it. 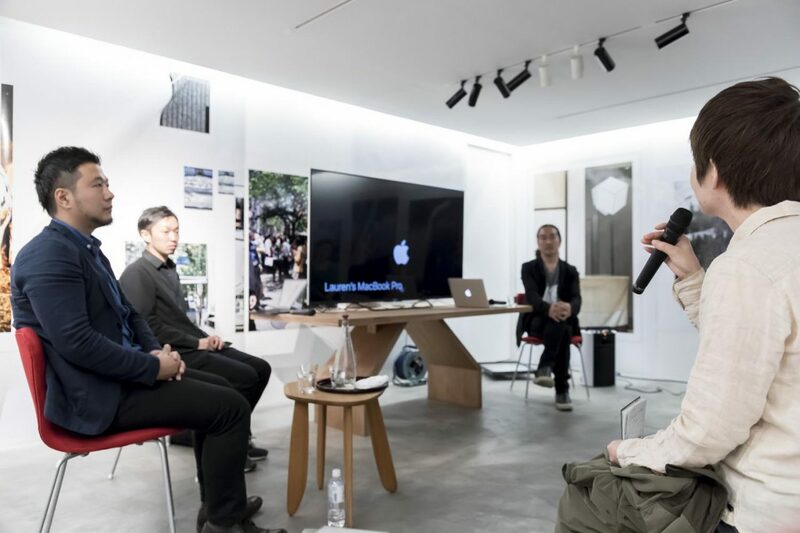 This year, we have shared information about our concept and our ideas with advisors worldwide – people like Simon Baker1 , with whom Tomo collaborated to curate the Masahisa Fukase exhibition, Pascal Beausse2 and Francois Cheval3 . Also, the photo festival in Arles is a destination for curators, journalists and gallerists throughout the world, and Lucille and I have asked for recommendations there too. Japan is a special place, after all, and we need to take into consideration which artworks would be received well here. We also have to show things that haven’t been exhibited here before. We strive to create a program each year that strikes a good balance between what would be received well and new, fresh viewpoints and sensibilities. Kosuga: There is something unique to KYOTOGRAPHIE that I found amazing when I worked on the Fukase exhibition this year, and that was the inclusion of our “scenographer”, or stage designer, Osamu Ouchi. Even if Simon and I are able to curate the exhibition on our own, in order to show artworks in a space different to the white cubes of galleries and art museums, being able to rely on such a stage designer becomes a necessity. Nakanishi: Yes, and I think that makes us different to other festivals. We intend to take art out of the museums and galleries into an everyday context, where it is accessible to people who may not often come into contact with art. Putting artworks into frames and hanging them on white walls is a global convention born in Europe, but if you recognize that exhibitions can act as an element of photographic expression, then there still is a lot of uncharted potential which we’d like to explore. Kosuga: When I visited the Robert Mapplethorpe retrospective at last year’s Kyotographie, which was held in the Kondaya Genbei company building in Kyoto, I thought: “this is where I want to do the Fukase exhibition!” The fact that the place left such a huge impression on me speaks of the brilliant work done by the scenographers. Their work is vital in order to extend the worldview of the exhibition into three-dimensional space, and to prevent the exhibition space itself to overpower the artworks. Nakajima: Listening to you speak about the relationship between places and photography, I remembered a certain Robert Frank exhibition. With Robert Frank, vintage prints can easily cost half a million dollar per photo. When works are valued at such high prices, they can’t really be taken out by the institutions that own them for fear of damage and wear, even art museums are not able to exhibit such works for more than a few days a year, and showing the works to many people without great hurdles becomes very difficult. Robert Frank was dissatisfied that there were so few opportunities to see his works, and he consulted with Gerhard Steidl, of German publishing company Steidl. Nakajima: The solution that Steidl suggested was an exhibition plan which saw Robert Frank’s photographs printed on cheap newspaper paper and suspended in space, like an installation. This way it was possible to show Frank’s works properly, exhibit it in publicly accessible places like schools or libraries where anyone could see them for free, and even have the exhibition travel to more than 50 locations in the world. Nakanishi: Oh, that is great. Nakajima: When the exhibition came to Tokyo, we held it at the Tokyo University of the Arts, and Gerhard Steidl himself worked on the exhibition plan together with the students. Many of the students didn’t know about Frank’s work when they began the preparations, but used the exhibition as a chance to get a deep understanding of it. During the exhibition, many visitors who had previously seen Frank’s work in other locations told us how the exhibition, including the fact it didn’t happen inside a white cube, made it possible for them to enjoy Frank’s works from a new angle. Robert Frank’s work is just one example how important it is to see photographs at exhibitions in order for new generations to understand and sympathize with the work. Nakanishi: That’s true. With photography shows, there are a number of very detailed, often impractical conditions to fulfill. 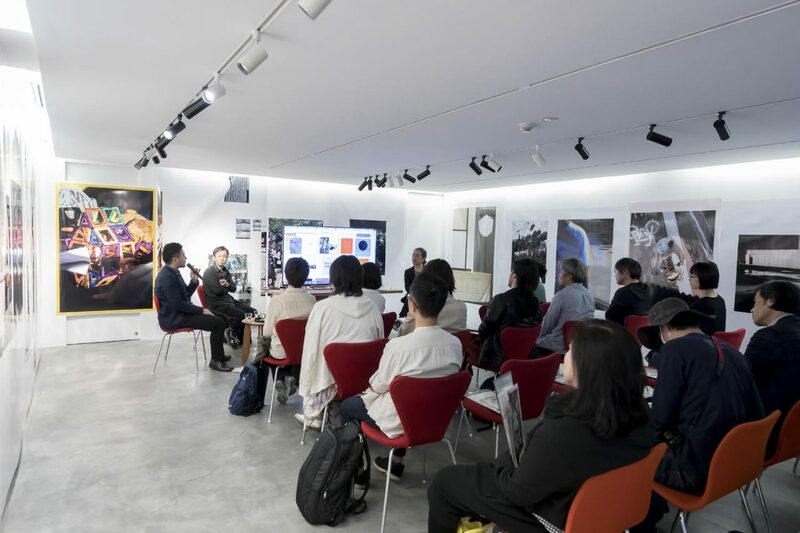 At KYOTOGRAPHIE, where most places we use for exhibitions don’t allow us to control temperature, humidity – in short, which can’t provide ‘museum conditions’, it can be very difficult to gain permission from authors and managers. But we keep persevering, and often receive special permission to exhibit in Kyoto for a month. Kosuga: Thinking about “making a living with photography” earlier, I wonder what you think is important for Japanese artists trying to go international? 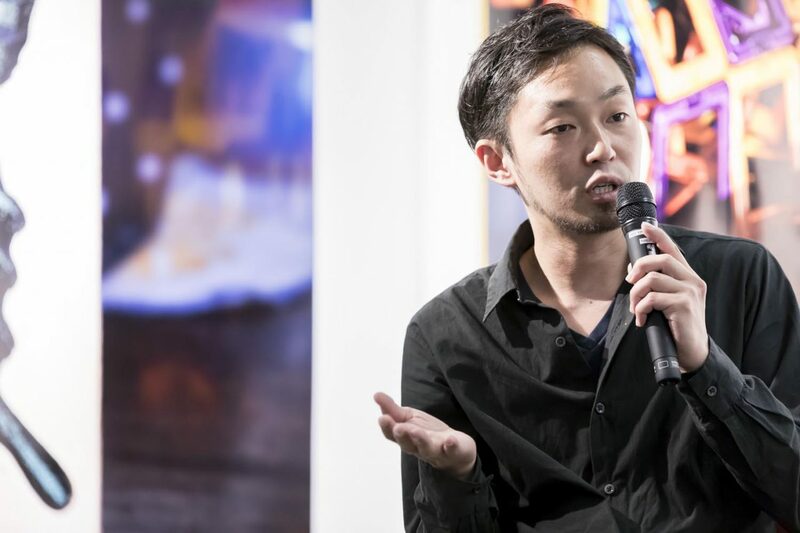 Nakanishi: At KYOTOGRAPHIE, we only have about 15 different exhibitions, so we have limited opportunities to show works of young Japanese artists. I realized this already when I prepared the first KYOTOGRAPHIE festival. Hmm, what should we do? With international festivals like in Arles, young photographers arrive from all over the world and hold their own separate festival, off-site. This off-site event is in turn influencing and revitalizing the actual main festival. Kosuga: They are using virtually the entire city. Nakanishi: Yes, they really do. They do it almost in a guerrilla style. I actually expected similar exhibitions to take place alongside KYOTOGRAPHIE, but Japanese artists are too well-mannered to advertise their own works like that. So instead we secured a small budget, created opportunities and mechanism for artists who want their works to be seen, and started the satellite event “KG+”. Nakajima: Which is also an opportunity for artists to have their works seen by the curators and gallerists visiting the KYOTOGRAPHIE festival. Nakanishi: That is true, yes. And each year, we award a grand prix to one of the KG+ participants, who will then be able to join the main KYOTOGRAPHIE festival of the following year. With this system, we found a way for unknown but promising young artists to have their work become part of the program of an international photography festival. 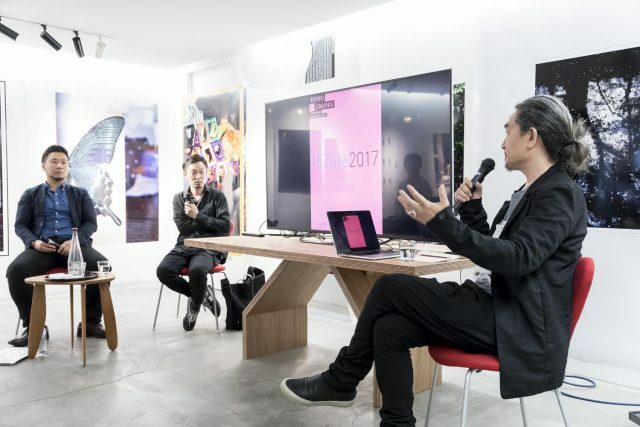 Nakanishi: Further, we also offer a ‘portfolio review’, where famous photographers from Japan and overseas offer criticism and advice to participating artists. This program has already led to artists being invited to photography festivals abroad, attention by the media and connections with gallerists and other business opportunities. 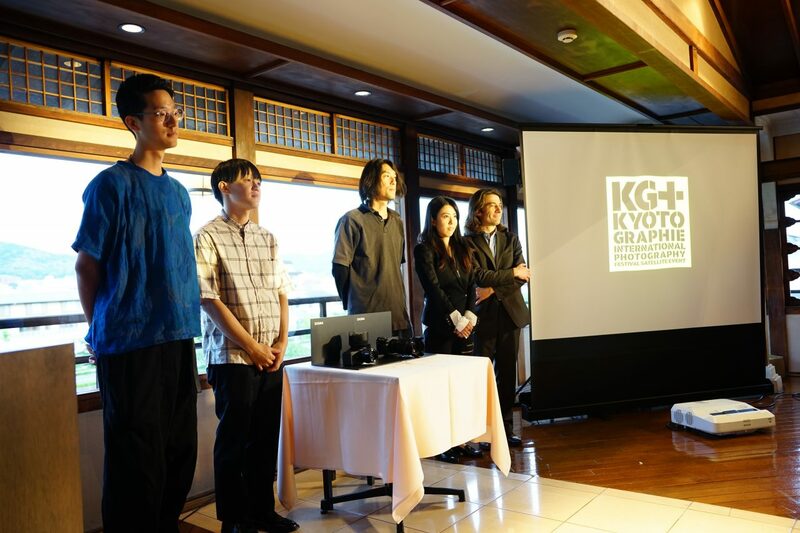 Fortunately, KYOTOGRAPHIE has lately been gaining attention internationally, and we receive more and more requests to introduce young Japanese artists. Kosuga: I have started collecting artworks about ten years ago, mostly from artists of my own generation. As a result, when I look at photographs I am always also looking at them from a buyer’s perspective. It is important in order to cultivate an aesthetic eye, and I have started to pay attention towards how works are being treated. In Japan, there are different schools of thought regarding editions. As a simple example, let’s take a case where one image is available in sizes S, M and L, and each of these sizes is produced as an individual edition. Ideally, art reflects the intentions and ideas of the artists, and I think it best if the artist finds one size he deems perfect for the work. In extreme cases, you could create a special size as an exception to the sizes that have already been decided. Nakanishi: It really is special, yes. This is not limited to photography either, there is a tendency go overkill in an attempt to try and scratch every possible itch. However, doing so rather decreases the value of the works. If you allow me to be crude for a moment, overseas it is rather the thought “how do I increase the value of this one piece as much as possible?” that becomes the key to financial success. Kosuga: I think young artists should keep their art at a low price that makes them easily affordable. I actually have the impression that young artists sell their works at rather high prices lately. Of course, sometimes high prices are necessary due to the high production costs. But if that means that the artworks won’t sell at the high prices or that art museums with a smaller budget can’t acquire their works, then I think they’ve got their priorities backwards. Kosuga: Think about this, please. Artists who have experienced a steep rise in market value since around the year 2000 have been active since the 1960s and ‘70s. Since photographs were once published as magazine submissions, they did not sell their prints as is custom today. In other words, rather than creating photographs for the market, they worked to please or express themselves. The results of that approach are highly valuable today, and I think it is important to think seriously why exactly they came to be valued so highly. A strict, thoughtful attitude towards managing your work profits not only your own works, it is also necessary to satisfy to conditions of collectors. In order to ‘make a living through photography’, you need to make decisions when you start selling your work and stand by those decisions, then you will be able to manage the value of your own artworks. This is often taken less seriously than you would expect. I think it’s a big problem that it currently feels as if there are no rules in the Japanese photography world. Nakajima: Also, for artists who have yet to launch their careers, who want their works be bought and their message to reach out into the world, I think the first step should be to see make sure people close to you understand and sympathize with your work. After that, your work will spread out into the world almost on its own. Even Nobuyoshi Araki says he sold his very first self-published photobook to his colleagues at [advertising company] Dentsu. Audience:You have talked about fairs and festivals earlier, but I don’t quite understand the difference between the two. Could you elaborate? Nakanishi:To put it simply, fairs are business-like events held in order to sell photographs. You borrow a large venue and divide it into different booths. Exhibitors – usually galleries – pay a fee to occupy these booths and sell their photographs there. Festivals are cultural events which aim to convey the beauty of photography. Usually, photographs aren’t sold at festivals. Instead, festivals ask for an entrance fee, and after paying that you can enjoy the exhibitions. Which options are available to young artists? Audience:Regarding need to foster a Japanese market and the little regard for rules that you talked about earlier, these circumstances seem like they make it very difficult for artists. Could each of you, with your variety of personal and professional backgrounds, give advice on what young artists could do to improve their situation overseas and here in Japan? Nakajima:My viewpoint is, of course, influenced by the fact I usually am around books a lot. One thing I am aware of is this: The book really is a medium that can surpass its author, that can even surpass time. There aren’t many other media capable of doing so. And photographs, with their inherent power to connect different dimensions (the flat surface and three-dimensional space), are a very good match for books. So, creating photobooks and having these seen by a lot of people is a very effective method, I think. I have actually first learned about many foreign artists by having a look at their photobooks, so I think creating a photobook would be a very good first step. Since 2016, we have hosted the Steidl Book Award Japan at the Tokyo Artbook Fair, a competition where we ask artists to send in dummy books (essentially a photobook prototype). A grand prix winner is selected from all participants and gets the chance to have their book published by Steidl. Steidl is a photobook publisher with tremendous power to their name worldwide, books published with them have a high chance of wide distribution, so the award could be a very effective way to start a career. There are many other photobook awards, and I think you could do worse than to try and submit your work to them. Kosuga:In addition to running the Masahisa Fukase archive, I also introduce contemporary photography in my role as a writer. One thing I realized is important through my activity as a writer is that artworks which touch the hearts of their audiences usually know how to connect with society in some way. For example, when I was part of the “portfolio review” that Yusuke Nakanishi mentioned earlier, I listened to the explanations and stories of many different artists, and a lot of them began to talk about philosophical ideas, about their own photographic theories. This is way too abstract, and the limited time we have is not enough to understand what they’re trying to say. Kosuga: On the other hand, I’m immediately interested if someone wants to share thoughts and themes that cannot be expressed through any other medium but photography. If you have a clear vision of your subject and point your camera towards it, then it only becomes a question of time – even if your technique isn’t yet perfect, for example. I’m always happy to meet people who have something they want to communicate to the world through photography. Nakanishi:As we talked about earlier, it is very difficult for photographers in Japan to live off their work. Of course, people who work in photography, like commercial photographers or people shooting weddings, are photographers as well, but it is a very different story for photographers-as-artists. There are many people who can satisfy the requests of a client and create beautiful photographs, but that is not the same as creative activities that try to give shape to new, original works. I think the biggest difference is resolution – whether they are prepared to live as an artist or not. It really is not easy to live a life in which you actually try to create what you want to create. Of course, there is nothing wrong with accepting assignments now and then to earn a living, but this resolution is very important to stay on your path. Mechanism of support and opportunities for artists, whether it is festivals or patronages, are constantly maturing. I think if these keep improving and photographers become able to support themselves, then photography culture will properly take roots in this country. Born in 1968. As a lighting technician, Nakanishi worked in many fields, including movies, theater, concerts, fashion shows and interior design. Nakanishi created an objects series called “eatable lights” and worked on installations for the Hara Museum of Contemporary Art (Tokyo), School Gallery (Paris), Nuit Blanche (Kyoto) and more. In 2013, Nakanishi founded the KYOTOGRAPHIE International Photography Festival together with photographer Lucille Reyboz. Director Tokyo Art Book Fair and bookshop [POST], KYOTOGRAPHIE portfolio review member. Nakajima opened the bookstore POST in Tokyo’s Ebisu district in 2011. With the exception of a permanent corner for German publisher Steidl, POST regularly updates the books on display, choosing a different publisher to focus on each time. Nakajima presently works as the director of POST and is responsible for the book selection, planning exhibitions, publishing books, coordination POST’s library and more. 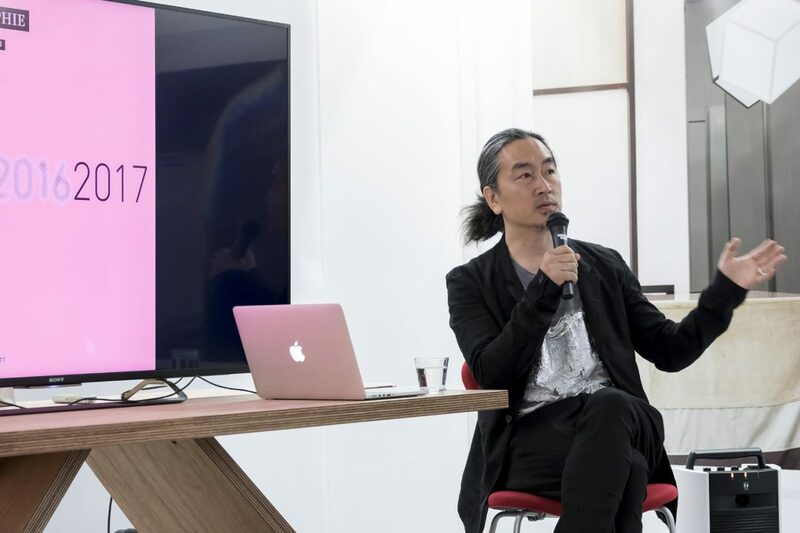 Since 2015, Nakajima is a co-director of the Tokyo Art Book Fair. He enjoys shooting with his SIGMA dp2 Quattro. Founder and director of the Masahisa Fukase Archives, KYOTOGRAPHIE portfolio review member. Lucille Reyboz / Yusuke Nakanishi To change the culture of photography in Japan from the streets of Kyoto.